Jieping Guo (Kate) has been practicing Chinese and Swedish massage for ten years. She received her diploma of massage therapy from the Professional Institute of Massage Therapy in Winnipeg, Manitoba. Over the years she has added several courses in continuing education. Kate has training in acupressure, deep tissue, cupping therapy and Gua Sha therapy which is a traditional Chinese treatment. She is registered with the Natural Health Practitioners of Canada Association (NHPC) and licensed by the City of Calgary. In her free time, Kate likes to read and exercise. 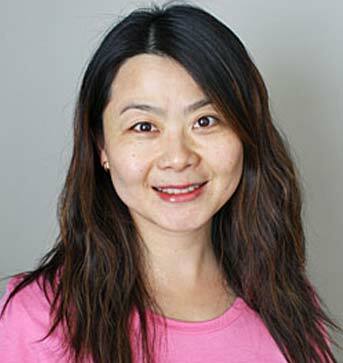 Call us at (403) 263-7477 to request your Downtown Calgary Massage Therapy appointment with Jieping Guo today!